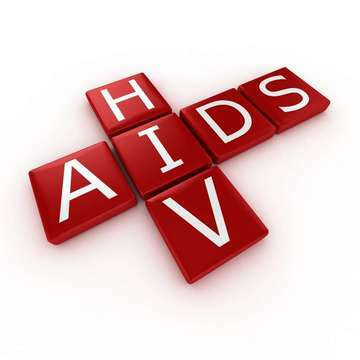 HIV infection is best treated by immunosuppression. This prevents the development of AIDS. Immunosuppression requires cocktails of many different powerful drugs, which can often interact with substances as seemingly nondescript as caffeine. The management of HIV treatment is complex and difficult. ZibdyHealth has a built in system to detect drug-drug and drug-supplement interactions. Every time you scan or manually enter a drug, ZibdyHealth checks this drug’s active ingredients, and then checks for interactions with any other drugs or supplements in the medications you are already taking. The interactions tables consist of interactions approved by the Mayo Clinic and MMR Information systems, Inc. Patients are warned of the interactions before they choose to add them to their medications list. With so many medications to take, and a constantly changing medications regimen, HIV patients can have real difficulty complying with the medications they need to maintain their health. ZibdyHealth can assist by allowing patients set up reminders to take these medications. These reminders can come as phone alerts, text messages, emails or phone calls. For particularly vital medications, the “reminder verification” feature can be used. This send the patient an email 15 minutes after the original reminder (any format), and the patient can click links in the email to confirm taking the medications. One of the best features of ZibdyHealth is its ability to allow patients to build up and maintain a network of associates (family members and others), as well as a family medical history. In the case of HIV, this often controversial illness can sometimes lead to patients not wanting to share information with others – particularly family members. 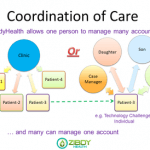 ZibdyHealth has a very “atomic” – or precise – permissions system which patients can use to choose what information is sent to which individuals they have in their network. Doctors and nurses can be given full access to read all of the patient’s information, for example, while family members can have their permissions individually applied. More trusted family members or friends can be permitted to see more, less trusted can see less. ZibdyHealth now has the ability to import clinical and laboratory data directly from electronic medical records systems such as from hospitals, clinics or from free-standing laboratories. If the hospital or laboratory doesn’t yet offer this service, users may also use dials to input in the data quickly. Using key algorithms, ZibdyHealth can pull together this data, organize it, and then present it back in an easy to understand format. For lab results, the data can be relayed in graphical form, so that users can track trends in cholesterol, or blood counts. For those with HIV infection, this allows a visual monitoring of important lab trends to identify toxicity and side effects from medications early. In addition, in resource limited settings, where electronic medical records are not present or where patients might be itinerant shifting from clinic to clinic, having access to historical laboratory data can have a profound impact on the quality of care provided. ZibdyHealth allows these patients to have their own personal health record that doesn’t need to be compartmentalized by provider or location. For example, seasonal workers traveling great distances for work may not be able to return to their hometown for regular visits to monitor their HIV infection. ZibdyHealth allows care coordination between all of a patient’s providers, improving the quality and efficiency of care for all HIV infected individuals. Please check out our tutorial section tutorial section or help page to learn more.